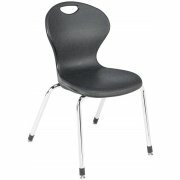 Infuse Series School Chairs bring a real breakthrough to classroom furniture - and a relief to school custodians. 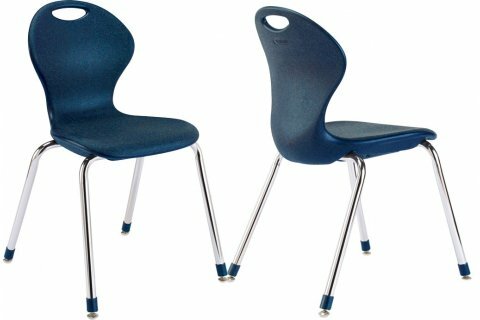 These graceful classroom chairs feature a blow-molded shell with no grooves or ridges for students to stick chewing gum into. 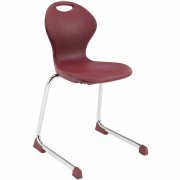 The rugged shell is connected to the frame with countersunk metal T-nuts, rendering these school chairs extraordinarily durable. Strength is not all. 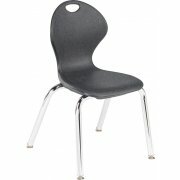 These student chairs also give children the support they need throughout the day. 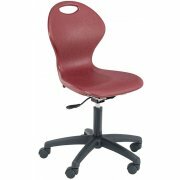 As they sit on a cushion of air which is layered within the seat, the contoured shell hugs the back, promoting correct posture. 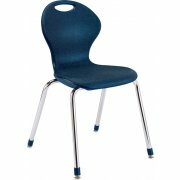 With a stunning array of colors to match any color scheme, Infuse classroom chairs will look and feel great just about anywhere. Innovative Design: Blow-molded shell means less under-seat crevices where chewing gum and other items can get stuck. 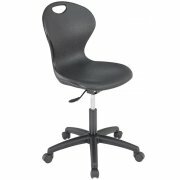 Enhanced Comfort: Blow-molded seat has a little bit of "give" resulting in a more comfortable sit. 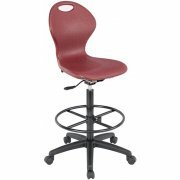 Outstanding Durability: Metal frame is bolted to T-nuts molded into the seat shell, resulting in a super-strong seat connection. 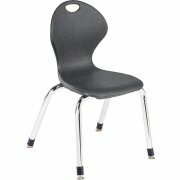 Easy Transport: A built-in carrying handle makes moving chairs around much simpler . Sizing is based on averages. Most grades include children above and below average size.